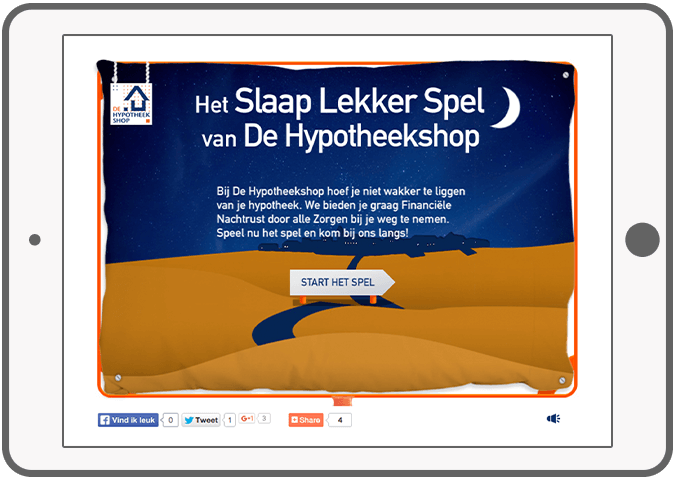 For a Dutch mortgage provider, De Hypotheekshop, DTT made the 'Slaap Lekker' (Sleep Tight) game. 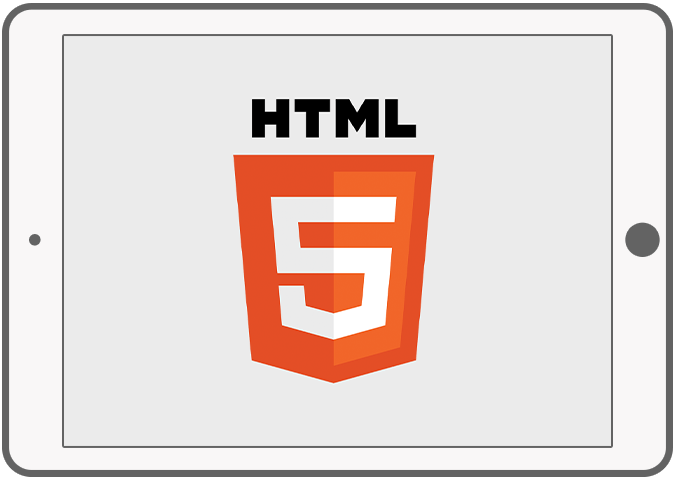 The game is made in HTML5 + Canvas and is therefore compatible with mobile devices (including iPhone and iPad) as well as with web browsers and PC. 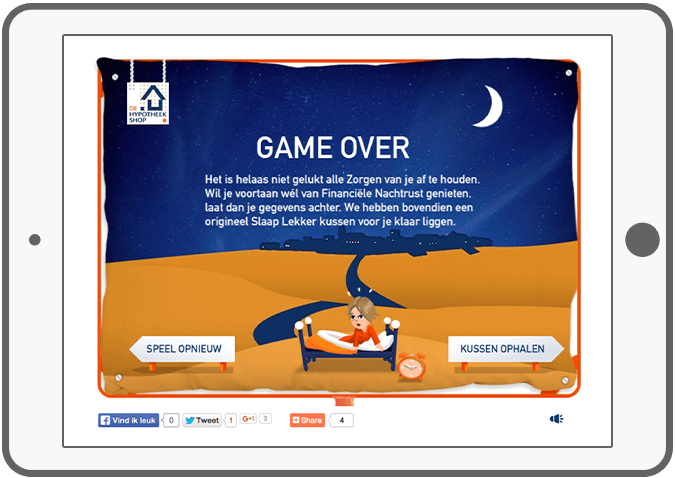 The main challenge in the 'Slaap Lekker' (Sleep Tight) game is to protect the person from waking up. You have to drive the clouds away with the help of a pillow. Those clouds depict the thoughts which prevents a person to have a good sleep. 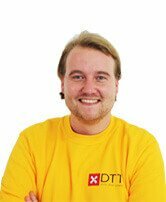 Thoughts about unemployment, money debts, diseases, rising costs for childcare, etc. 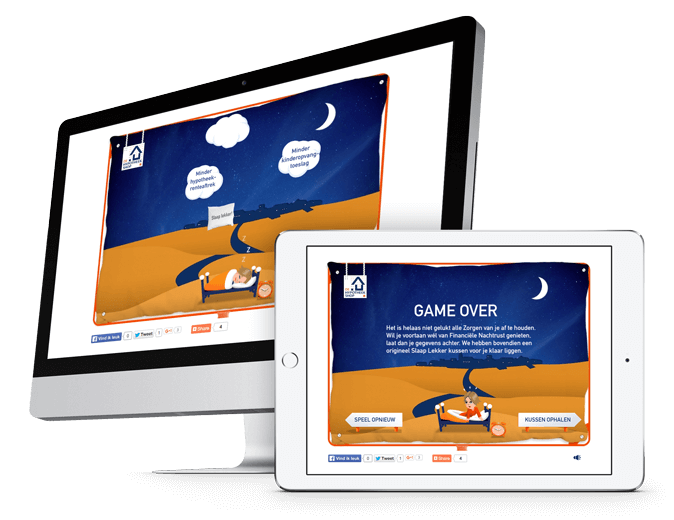 The 'Slaap Lekker' (Sleep Tight) game is an HTML5/Canvas solution that introduces products and services of De Hypotheekshop in an exciting and dynamic way. 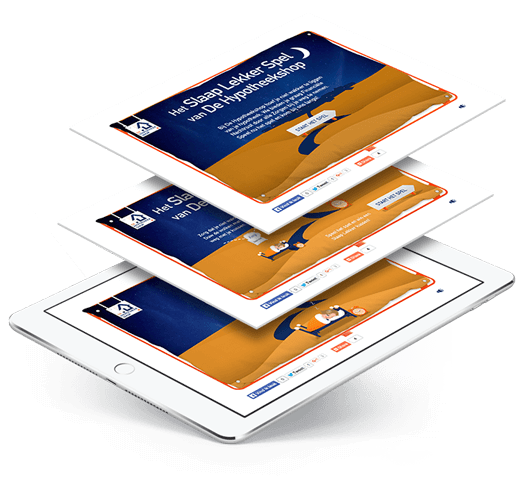 For more info about Hypotheekshop visit their website. Share via social media and e-mail. 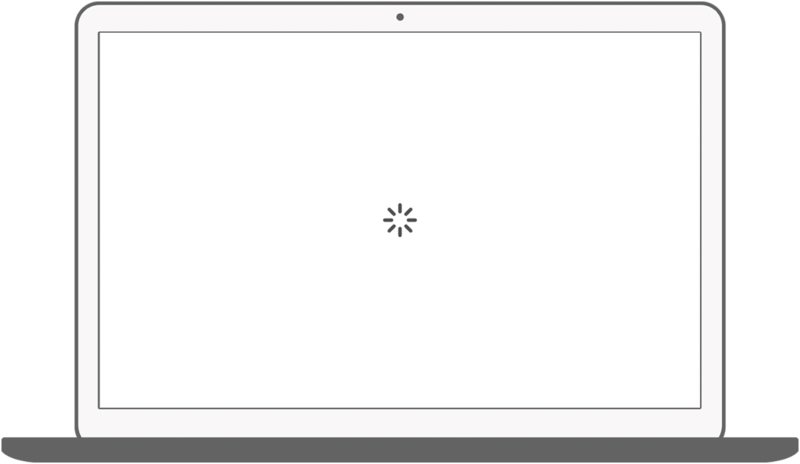 Background music and different sound effects.